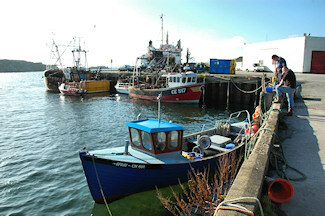 Before they go completely stale I thought I post a few pictures I took a few weeks ago during my last visit to Islay. They obviously don't show the current status, but I thought some of you might still find them interesting. 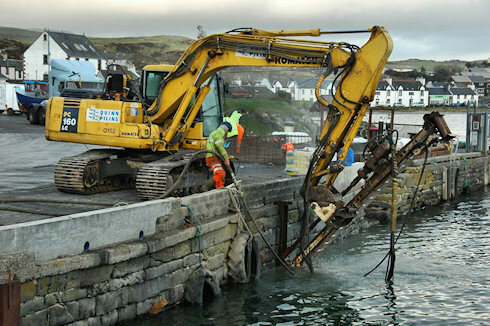 They show the very early stages of the re-construction of the existing fish quay wall in Port Ellen on the south coast of Islay. Over the years the wall had settled and needs to be reinforced and rebuilt. 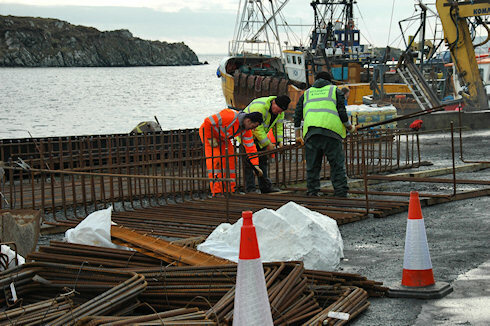 By laying the ground work now for any potential infrastructure improvements at Port Ellen and Kennacraig, this will ensure the project can begin as soon as possible, should funding become available. I hear the work is progressing well, although there's still quite a lot of work to do. Not surprising considering the work is scheduled to continue for a few more month until completion.